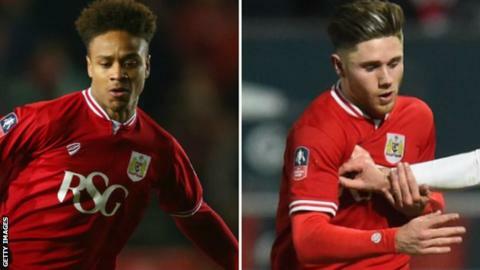 Bristol City midfielder Bobby Reid and forward Wes Burns have both agreed new one-year contract extensions with the Championship club until 2017. Reid, 23, scored his first goal for the club in Saturday's 4-1 home win over Sheffield Wednesday, his 25th match of the season, as City moved up to 18th. Burns, 21, made 17 appearances earlier this term before joining Fleetwood on loan, playing 11 matches. Of his 54 Robins' appearances, 48 have come from the substitutes bench.